Men’s White Reserves lost 0-3 to NY Athletic Club. CPR Old Boys got a forfeit win from Guyana Veterans, 3-0. Dyker Beach park has always been a tough pitch for the Legends. 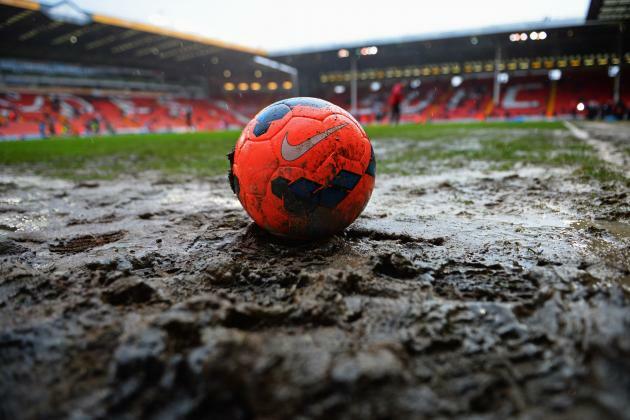 Not only is it distance wise one of the furthest pitches the Legends visit each year, but the condition of the pitch is a slap in the face to the game of football. If the freezing temperatures hadn’t hastened departures a picture would certainly have been worth a thousand words. In parts the entire carpet of the pitch was folded over and one wonders what any insurance agent viewing this atrocity would think. Although the field has always been bad, this week it seemed particularly egregious. Fortunately unlike last week CPR had 3 substitutes who would definitely get their playing time in this week. The opposition uncharacteristically appeared to only have a couple of substitutes themselves. The game started with Gjoa on the wind assisted front foot, a good toss to win. The Legends were pinned back and yielded the first goal, a gentle chip over the wall finding the back of the net. CPR seemed unable to maintain any momentum, passing moves generated always resulting in long balls causing no concern to Gjoa. The ball occasionally made it to the last third but with no shots on target to trouble the suspect keeper. Gjoa eventually extended the lead with a speculative shot making it through Telly. The Legends had certainly played below their capabilities but the two goal lead seemed a bit harsh, and CPR were able to claw one back when the opposition keeper blatantly took Faherty down in what should have been a sending off. The amiable referee decided to exercise discretion and only award a penalty which was duly dispatched by Carlson (Resnik & Venkataraman having been on the sidelines at the time). After urging referees to remember that the games played are of the Over 36 variety it would be somewhat churlish to chastise the referee for following that tenet, but nevertheless the Legends felt somewhat aggrieved especially when the half time whistle was blown several minutes early. With the wind at their backs management nevertheless urged the CPR midfield to stop with the long/through balls and focus on building the attack slowly. Players were also encouraged to take some wind aided shots at the keeper and challenge him. Soon CPR started closing the vise and keeping extended possession in the Gjoa half. Meanwhile Gjoa certainly looked dangerous on the counterattack and missed several of their own chances. No matter how the Legends tried to a decent shot in the box, the ball would not fall kindly. Numerous bounces in between or around players would not allow a clean shot, and the shots from distance were high, wide and fancy free. In the exact same position as Gjoa scored the first goal the Legends conspired to blast the ball over instead of just chipping the wall. In the end, despite the referee agreeably adding on the proper time, the Legends huffed and puffed but could not get the tying goal. 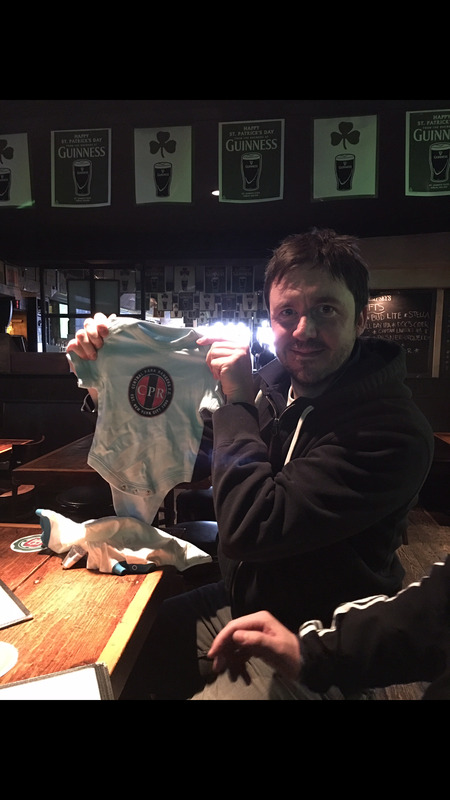 Thoughtful as ever, El Presidente started the indoctrination early with some babywear for Baby Vale. Papa Vale promptly disgraced the occasion by drinking white wine all day. In the end a draw was probably a fair result, but close only counts with horse shoes and hand grenades. An unfortunate loss was not a good way to cement second place after the distant Cozmos. Old Man of the Match: With enough of a quorum at the bar this was a missed opportunity. After next game Tier One needs to make sure after ordering beers the next step should be to organize voting. A potential missed opportunity for Faherty. Team Bar Night: 3.5 out of 5. Decent depth with half the squad making it back after a dispiriting loss, good longevity with everyone making it through the entire Manchester derby (without throwing up). …and we’ll see you back at Dempsey’s after the games. Men’s White beat Manhattan Celtic Reserve 6-2 (League Cup) Carson (2), Kwesi, Dan Miller (pk), Justin, and Shahin scored. CPR Old Boys got knocked out of the Overs 30s cup on PK’s by Guyana Veterans (2-2 end of regulation) Ernest scored the pair. The preparation for the first game of the CPR Legends spring season was long and dour. Player after player was deemed unavailable and the reasonably sized On Call list provided little help. With a record 20 players unavailable it was down to the bare minimum of 11 players to head to Brooklyn for a Cup game against a higher league side. The seemingly interminable complaints from the opposition about the need to provide nets didn’t materialize into any problems as the Gunners were at the field performing suitable preparations. The amiable referee seemed in no hurry and it was 15 minutes after scheduled kick-off before the teams started at 10 men a piece. The Gunners as befitting their higher league status were on the front foot, and when the Legends were able to get the ball they were unable to maintain possession for long. Late arrivers meant that although CPR were at 11, the hosts had substitutes now available. Space was tight and the Gunners slowly turned the screw. The initial breakthrough was a deflection off Resnik that left Telly flatfooted. Out of nowhere the Legends were able to conjure an equalizer, a powerful Yayaesque run from Nizam resulting in a shot that took a fortunate deflection into the side netting. CPR started growing in to the game, a Pattinson free kick forcing a save from the keeper that just eluded an onrushing Venkataraman. Some more scrambles in the last third were unable to provide a finishing touch, while meanwhile the Gunners were putting pressure on of their own. Despite tenuous defending on the left the opposition were able to parlay a lucky bounce and a blind cross into a well taken header for the lead. Half time saw an already tiring Legends limp to the bench. Although down only a goal, the mountain looked steep and forbidding, especially with relative youngsters limbering up on the other side. CPR were able to keep it tight at the back but without a speedy outlet up front the pressure from the Gunners was relentless. Inevitably, another coffin nail was pounded in and soon the floodgates opened. Simic limping off meant the Gunners were lining up to take advantage of the exhausted 10 man CPR. More goals trickled in and when the whistle mercifully blew it equaled the Legends largest defeat, 6-1. The most that could be taken out of the game was the ability to get a run out on a nice day, but CPR will have to make sure they bring their A game along with some substitutes at the perennially difficult Dyker Beach to play tough Gjoa. ”Mr. Glass” Fragility/Old Man Injury Award: Ante Simic certainly did not have the best of luck yesterday. After running into a Quota Cop and receiving a ticket, he arrived at the field to angrily gesturing Legends urging him to get on the field. Although the lack of warm up did not directly cause the torn meniscus, it certainly did not help. Prognosis unknown, but not good for at least the next few weeks. The array of bloodied knees on the field was impressive and showed a lot of heart from players. Old Man of the Match: Tough to determine one player given how tired everyone was, but honorary mention goes to Paul Vale who had some aggressive runs through the middle. Team Bar Night: 1.5 out of 5. Although the Tier One was able to make it back to the pub, it was an exhausted crew given Daylight Savings and 90 minutes each. They were able to stay a couple of hours and the women’s whites joined them, but more of a ‘keep the clock ticking’ performance. While the Old Boys got back into action last week at the CSL Indoor tournament, some more teams get going in the CSL League Cups, before leagues resume next week. The Women’s league slate starts back up this weekend. REMINDER – DAYLIGHT SAVINGS TIME KICKS IN, DON’T BE LATE! !